“The Jewish nation-state law passed in the Israeli parliament shows this country’s real intentions. It legitimizes all unlawful actions and oppression... There is no difference between Hitler’s Aryan race obsession and Israel’s mentality. Hitler’s spirit has re-emerged among administrators in Israel." Why it matters: Formerly allies, relations between Turkey and Israel broke down after Erdoğan came to power in 2005 and took an aggressively pro-Arab stance to the Israeli-Palestinian conflict. 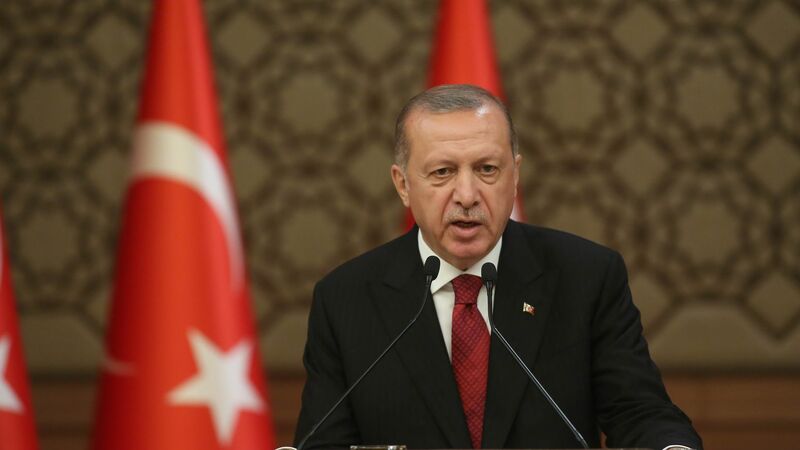 His incendiary comments Tuesday prompted an immediate response from President Benjamin Netanyahu, who said Erdoğan heads a "dark dictatorship" that "slaughters Syrians and Kurds and imprisons thousands of [its] citizens."